Polytunnels are pouring out peaches and figs, the first tomatoes are in, though not abundant yet, apricots never made it as far as the house this year, all eaten on sight! Summer raspberry canes finished and cut down. Aubergines are struggling but peppers are doing well. Peanuts are alive but not growing very much at all so I don't hold out much hope for them, sweet potatoes growing strongly. Tomatoes ripening in the big tunnel with statice growing along side.. Peregrine peaches in the small tunnel. 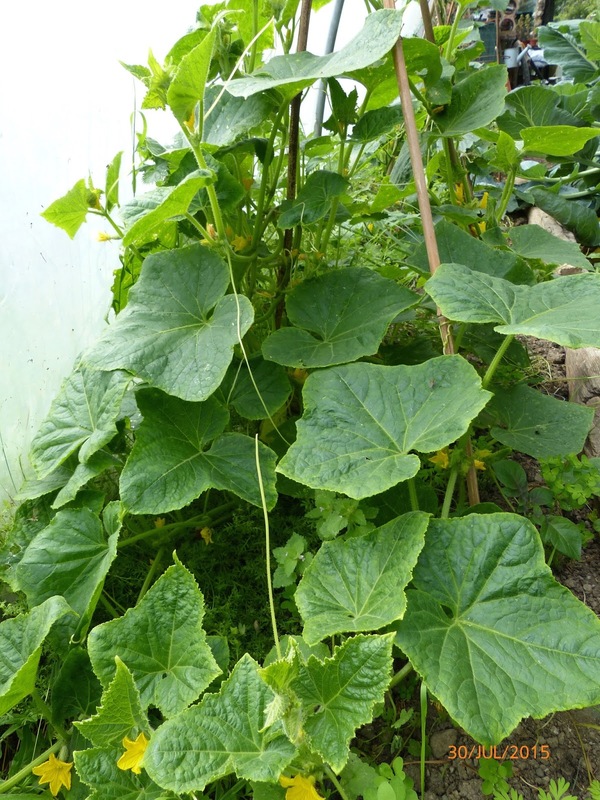 Cucumbers and gherkins are fruiting in the small tunnel.